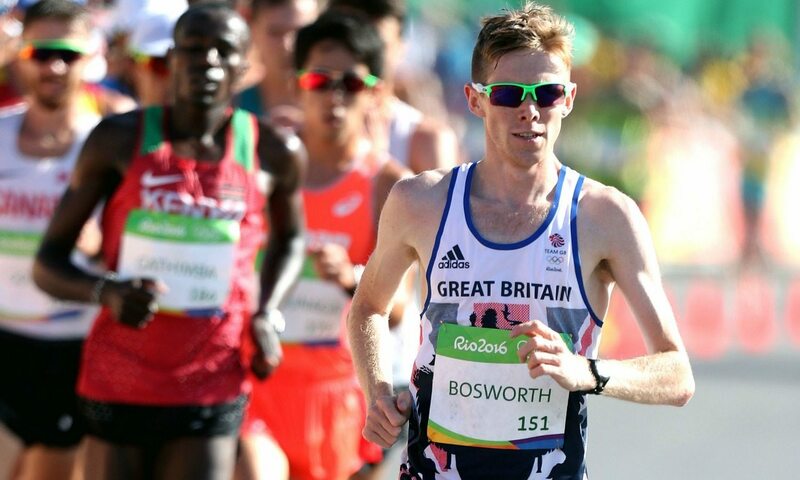 Tom Bosworth has taken British race walking to another level in recent years and he can’t wait to build on that in front of home fans in London this summer. With his sixth place at the Olympic Games in Rio, the Leeds-based athlete achieved the best performance by a British race walker since Paul Nihill finished sixth, also in the 20km, at the 1972 Olympics. Having gone into the competition ranked 37th, targeted top 20 but managed another British record-breaking time for sixth, Bosworth was understandably delighted, but always wants more. An iconic route for the race walk events at the IAAF World Championships has been unveiled and Sunday August 13 will see a ‘Festival of Race Walks’ staged at The Mall on a 2km loop between Buckingham Palace and Admiralty Arch. It is a superb stage for Bosworth to further prove what he is capable of. After narrowly missing out on qualifying for London 2012, the 27-year-old made his World Championships debut in Beijing in 2015 and placed 24th. He broke the UK record for the first time the following March, clocking 80:41 in Slovakia to improve on a 28-year-old mark set by Ian McCombie, and in Rio he went quicker still with 80:13. While the 20km event remains his focus, Bosworth has allowed himself to think a bit beyond London, and his desire to break records means a step up to 50km might not be too far away. “I’m probably looking at 2018 because there’s no world competition. There’s the Commonwealth Games and the European Championships, so I’ll do those and perhaps look at a 50km towards the end of that season,” says Bosworth, who also holds British records over 3000m, 5000m and 10km. The country’s current No.1 over 50km is Dominic King, who qualified for London 2017 last October with a 3:55:48 PB. NextShould you train with a cold?